Yogi Fair Is Officially Open! After a successful soft launch last August 25, we are officially opening a series of fairs to share and celebrate the Yoga Lifestyle and Pinoy-made handicrafts starting September 15 until December 2013. See you at the fair! 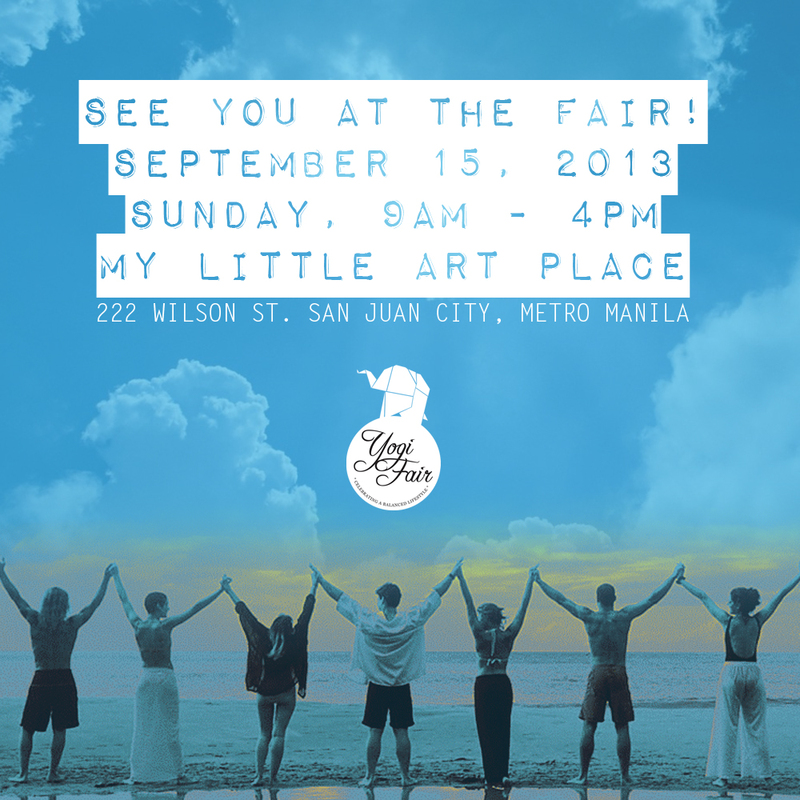 September 15, 2013 (Sunday) from 9am to 4pm at My Little Art Place 222 Wilson St. San Juan City, Metro Manila (see map). Yoga, Art, Music, and Foood!!! The Yogi Family is composed of independent and local artrepreneurs who live a Yoga lifestyle and advocate for buying local products, art and design. Check out their booths at the Yogi Fair.